A second former DuPont employee—Edward Schulz—was recently sentenced for his role in a conspiracy led by a South Korean company to steal trade secrets related to Kevlar, a trademarked product developed and sold by DuPont. Kevlar, an incredibly strong synthetic fiber developed by the U.S.-based DuPont 50 years ago, is used around the world in body armor, fiber optic cables, automotive and industrial products, and a variety of other applications. Soon after its development, DuPont trademarked Kevlar, mass-produced it, and put it on the market. But none of this was easy—the company had expended untold resources on Kevlar’s research and development, ground-breaking manufacturing processes, and innovative business plans (collectively known as “trade secrets”) before the product became a success. DuPont’s hard work and ingenuity paid off. But there are companies who believe that their road to success can be paved with someone else’s hard work and ingenuity. 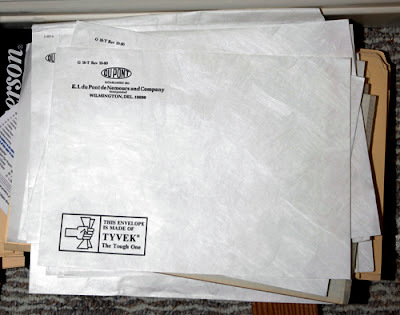 That was the case with executives from a South Korean company called Kolon Industries who, interested in developing their own Kevlar-like product to compete with DuPont, put a plan in motion to steal proprietary information related to Kevlar—primarily by going after former DuPont employees who might be in a position to have such information. Stealing another company’s trade secrets is a federal crime, and, after an FBI investigation by our Richmond Field Office (DuPont has a large plant within FBI Richmond’s jurisdiction), Kolon Industries and five of its executives were indicted on theft of trade secrets charges. The company pled guilty to the charges in April of this year and was ordered to pay $85 million in criminal fines and $275 million in restitution. And we made extradition requests for the five indicted executives, who no longer work for Kolon. Edward Schulz—who worked for DuPont for just over 30 years before he left around 2000—was responsible for technical research and development relating to Kevlar. Despite a signed agreement barring him from disclosing DuPont’s secret or confidential information during or after employment, he held on to numerous DuPont documents when he left the company. So when Kolon came calling and Schulz accepted their offer of a consulting job, they soon began questioning him about Kevlar, and he willingly turned over some of the proprietary information he had in his possession. Another long-time former DuPont employee—engineer and salesman Michael David Mitchell—was also caught up in the conspiracy and was charged with and pled guilty to theft of trade secrets several years ago. Mitchell, fired by DuPont for performance reasons in 2007, had signed the same non-disclosure agreement as Schulz, but he also held on to some proprietary information when he left. While looking for another job, he met with Kolon representatives and eventually was hired by them as a consultant. Mitchell shared with Kolon some of the proprietary information he had, but when Kolon representatives began asking him extremely technical questions on Kevlar, he reached out to former and current DuPont employees for answers. Word of his activities, however, got back to DuPont management, who reached out to the FBI with their concerns. Eventually, Mitchell agreed to cooperate with law enforcement and made numerous recorded phone calls and exchanged e-mails with Kolon representatives. He also hosted a face-to-face meeting with representatives in a Richmond hotel, which was audiotaped and videotaped by the Bureau. This case would have been nearly impossible to make without the assistance of DuPont. In addition to the company coming to us initially about the attempts to steal their trade secrets, DuPont worked with us to understand and organize more than a million pages of Kevlar-related documents and hundreds of hours of audio recordings, which enabled the case to move forward quickly. And the FBI and the Department of Justice worked to ensure that DuPont’s proprietary information—much of which was used as evidence—wasn’t disclosed publicly. As a result of its experience, DuPont enhanced efforts to protect its proprietary information. Other American companies, if they haven’t already done so, need to follow suit—the desire to steal U.S. business trade secrets continues unabated.